That was Elena Kagan yesterday at her confirmation hearings when asked where she was on Christmas day when a would-be terrorist was trying to blow up a plane over Detroit. (For more great quotes, see AboveTheLaw here). Today is day 3. It's tough to watch the Senators drone on, but Kagan is doing a nice job. She's witty and professorial. It's interesting to compare her to Roberts, Alito, and Sotomayor. Kagan is certainly Roberts' equal, although they have very different styles. Roberts came across as the quintessential appellate judge, while Kagan is the professor. Both get A's for their performances. Alito and Sotomayor also had similar performances but again much different styles. The hearings seem to try and get candidates to explain how they will judge or what they think judging entails. Of course, the nominees try not to answer these questions. But you get a sense of the person by how they answer the questions. Kagan (like Roberts) comes across as bright, witty, and engaging -- and certainly qualified. The 11th Circuit gets to reconsider the cases of former Alabama Governor Don Siegelman and ex-HealthSouth CEO Richard Scrushy. They were convicted of bribery and honest services fraud, which are now subject to attack because of the Skilling decision. 1. 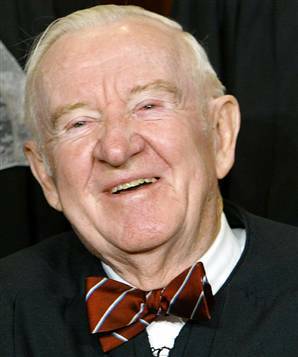 Today is John Paul Stevens' last day on the Court. He has been a Justice for 35 years -- third longest ever on the Court. He took over for Justice Douglas -- interestingly, the longest serving Justice ever. At 90, he's also the second oldest serving Justice, behind Justice Oliver Wendell Holmes. He'll retire to his home in Ft. Lauderdale. 2. The Court issued its last 4 opinions today, including Bilski! Lots of interesting stuff that I'll post about soon. 3. As Stevens steps down, Elena Kagan starts her confirmation hearings. Noah Feldman discusses the current state of the Court and the lack of progressives in this weekend's NY Times magazine. 4. Justice Ginsburg's husband, Martin, passed away yesterday. AboveTheLaw has a nice story about him. 5. In other news, the CJA lawyers had their seminar this weekend; Lew Freeman's sentencing was continued until July 23; and no more CocoDorm. The District's Criminal Justice Act lawyers had their annual seminar in Naples. Chief Judge Moreno, Judge Cooke, and Judge O'Sullivan attended. So did the U.S. Attorney, Willy Ferrer, and his second-in-command Ben Greenberg. Big shout out to Ferrer and Greenberg for coming -- they were the first USAO dynamic duo to ever accept an invite in the 13 years of doing this seminar. And they said all the right things. 1. Variances. Since Booker was decided, prosecutors still have mechanistically asked for guideline sentences. This was the mandate from the top -- the guidelines were always reasonable even though the Supreme Court made clear that this was not the case. In fact, the 11th Circuit has said again and again that there is no presumption that a guideline sentence was reasonable. No matter, prosecutors went in and always asked for a guideline sentence. Our district judges started complaining, and Ferrer and Greenberg said that their prosecutors will not simply ask for a guideline sentence in every case as that is unhelpful to the court. 2. Indictments and Plea Agreements. There have been a series of memos (from Thornburgh to Ashroft to Gonzalez) requiring that prosecutors charge defendants with the most serious charge they could bring (including 851 enhancements, etc) and requiring prosecutors to offer plea plea agreements only to the most serious charge in an indictment. The new Holder memo has changed all of that, and Ferrer & Greenberg said that they will make sure that the Holder memo gets implemented in their office ASAP. Although no specifics were really offered as the Holder memo is relatively new, they are studying how to make sure that there is "horizontal equity" (their term) and fairness. 3. Discovery. There are new memos on discovery obligations (including Brady/Giglio) as well. Ferrer & Greenberg said that all prosecutors are undergoing training to learn about these memos and their discovery obligations in general. Although many line prosecutors are still telling the defense bar that they are only required to disclose what is required under Rule 16, Ferrer & Greenberg assured the CJA lawyers that this was going to change under their watch. So, there you have it -- they said all the right things. Now we'll see what happens. After they left, most of the lawyers were grumbling that they hadn't seen any change so far. No prosecutors were asking for variances and no one had seen any open file discovery. But Ferrer made clear that he's only been there a month and that it would take some time to get all of these changes in place and the prosecutors trained on these changes. It was a great sign that they accepted the invitation to come speak to the group. But the High Court did decide the honest services cases and found that the statute only covers bribes and kickbacks. Jeff Skilling and Conrad Black have to go fight about harmless error in the appellate courts now. Interestingly (take note Rumpole), the Court did not strike down the statute as vague. But Scalia (along with Thomas and Kennedy) adopted the position of the National Association of Criminal Defense Attorneys, and wrote that the statute should be thrown out altogether. How much time should Lew Freeman get? Update: I've been told that the govt is asking for at least 15 years; probation 12.5; and the defense 7.5. Not confirmed. Judge Huck is set to sentence him on Friday. Joe DeMaria filed this sentencing memo on Freeman's behalf on Monday. It's an interesting contrast to the memo filed for Scott Rothstein, especially in tone. Also of note is that Freeman still seems to have the support of the community -- 277 letters were filed on his behalf. The biggest difference, of course, is the loss; here it's somewhere in the millions, not the billions. I believe that the probation office calculated the guidelines at 78-87 months based on a high loss calculation, but the parties will be fighting over loss. The maximum sentence is 20 years. A guidelines sentence of 78-87 months (as calculated by probation). The max -- 20 years. 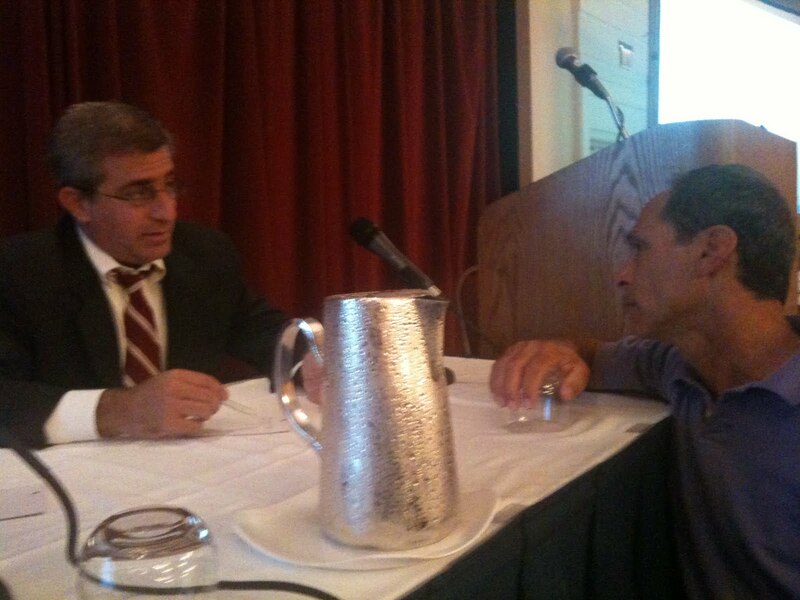 John Pacenti's article on the upcoming sentencing is here. -- Jonathan Goodman is now a magistrate judge. The background check is over and JG is good to go. Congrats! But unlike Bush, Obama was elected with a majority of the popular vote and works with a Senate in which his party has 59 senators — at least for now. “You’d expect President Obama, elected with a comfortable margin and with the number of Democratic senators there now are, to have had a lot more judges confirmed by now,” said Russell Wheeler, former deputy director of the Federal Judicial Center, the research agency for the federal courts. Wheeler is a fellow at the Brookings Institution. The Ferraro Law Firm is hiring -- and its hiring federal prosecutors. Jeff Sloman, the former U.S. Attorney, joined the firm, as did Alan Kaiser. Two more well-regarded prosecutors are set to join next month -- Melissa Damian and Russell Koonin. A bunch of SCOTUS opinions due out shortly. Stay tuned. Sharpstein blamed the twisted facts of the traffic stop on a rookie federal prosecutor, ... who "freaked out'' during his first court case and botched the case. "You always remember your first time and sometimes you remember it with a little pain and a lot of regret,'' Sharpstein said. Running around like crazy the last few days, and then I see this straw man put up and knocked down by Rumpole on his blog. I will respond when I have a minute. In the meantime, let me say that I obviously do not agree with Scalia's dissent in Holland, and I have not taken the position that Scalia is friendly to criminal defendants -- what I have said is that Scalia is the best friend that criminal defendants have on the Supreme Court (here's one of the first posts that got the debate started). That's not such high praise when the voting patterns of this Court are examined. Anyway, more on this later when I have time to respond, and congrats to Todd Scher for the big victory. Here are the 5 opinions that were decided today. 1. Was Justice Souter right? John McGinnis and Michael Rapparort think no way. 2. Should Clarence Thomas run for President in 2012? Kashmir Hill and David Lat say yes! 3. Should state judges be permitted to affiliate with a political party? Yes, says the 7th Circuit. Here's the opinion. (Should we expect a similar Florida lawsuit soon?) The 7th Circuit did say that state judges could not endorse political candidates or directly solicit for cash, just like here in Florida. There are 24 pending cases and not much time left -- the Court closes down at the end of June. It has issued a whopping 53 opinions this year... (It's unbelievable how few cases the modern Supreme Court hears). The Court will be issuing a number of opinions today. I am running around this morning, but check in at ScotusBlog at 10am (they will have a live feed) for the list of opinions and then we can talk about them this afternoon. In Dolan v. United States (09-367), the Court affirms, in an opinion written by Justice Breyer. The vote is 5-4, with a dissent by Chief Justice Roberts, joined by Justices Stevens, Scalia, and Kennedy. Holding: A sentencing court that has missed the 90-day deadline may nevertheless order restitution, at least in some circumstances. In Holland v. Florida (09-5327), the Court reverses and remands, in an opinion again by Justice Breyer. The vote is 7-2. Justice Alito concurs in part and in the judgment, while Justice Scalia dissents, joined in part by Justice Thomas. Holding: The Court permits equitable tolling of the habeas corpus filing deadline under the AEDPA. In Astrue v. Ratliff (08-1322), the Court reverses and remands, in an opinion by Justice Thomas. The vote is unanimous, but Justice Sotomayor files a concurrence joined by Justices Stevens and Ginsburg. Holding: An individual who wins a case against the federal government and recovers attorney’s fees can have those offset if that individual owes a debt to the government. Holding: Second or subsequent crimes of possession of drugs are not aggravated felonies under federal immigration law when the underlying state conviction is not based on the fact that there was a prior conviction. More fun in the cop perjury trial that I just posted about below. Judge Middlebrooks granted the defense "Motion in Limine to Exclude Federal District Judge Cecilia Altonaga." The government wanted to call Judge Altonaga to demonstrate that the police officers' testimony was material to the suppresion hearing. Judge Middlebrooks found that Judge Altonaga's proposed testimony would violate Rule 403 as a jury would give too much credence to a district judge's testimony. "When something uncanny, accidental and unexpected happens." That's the definition of coincidence. There was a pretty incredible one today in Judge Middlebrooks' courtroom. So, it is tempting to dismiss the critical rhetoric of lawmaking and activism as simply a rejection of too many of the hopes we profess to share as the American people. But there is one thing more. I have to believe that something deeper is involved, and that behind most dreams of a simpler Constitution there lies a basic human hunger for the certainty and control that the fair reading model seems to promise. And who has not felt that same hunger? Is there any one of us who has not lived through moments, or years, of longing for a world without ambiguity, and for the stability of something unchangeable in human institutions? I don’t forget my own longings for certainty, which heartily resisted the pronouncement of Justice Holmes, that certainty generally is illusion and repose is not our destiny. But I have come to understand that he was right, and by the same token I understand that I differ from the critics I’ve described not merely in seeing the patent wisdom of the Brown decision, or in espousing the rule excluding unlawfully seized evidence, or in understanding the scope of habeas corpus. Where I suspect we differ most fundamentally is in my belief that in an indeterminate world I cannot control, it is still possible to live fully in the trust that a way will be found leading through the uncertain future. And to me, the future of the Constitution as the Framers wrote it can be staked only upon that same trust. If we cannot share every intellectual assumption that formed the minds of those who framed the charter, we can still address the constitutional uncertainties the way they must have envisioned, by relying on reason, by respecting all the words the Framers wrote, by facing facts, and by seeking to understand their meaning for living people. It's surely too much to ask that the modern confirmation process explore the complex work of balancing, in Justice Souter's recent words, a reliance on "reason, by respecting all the words the Framers wrote, by facing facts, and by seeking to understand their meaning for living people." The very notion that we could trust anyone to do all that is too frightening to contemplate. But could we at least ask that the nominee, and the senators, decline to insult our collective intelligence with the suggestion that judging is so easy, and the Constitution so crystal clear, that a second-year associate could do it. It saddens me to think that it took Justice Souter 19 years of heavy constitutional lifting and departure from the court before he could turn to the American people and explain clearly that much as we might want judging to be easy, it never can be. It terrifies me even more to think that we've crafted a confirmation process in which the consistent message is that judging is so simple that any old bozo can do it. If we continue to believe that this is so, we will be on the road to confirming any old bozo that stumbles along. In the courtroom, Rothstein appeared visibly and dramatically changed by his six months in federal custody, much thinner with closely shorn gray hair and a goatee -- almost unrecognizable from the outsize personality he once was.He was wearing dark pants and an off-white dress shirt, and he was shackled at the waist and ankles. A humble Rothstein addressed the judge and the packed gallery, apologizing for all the harm he caused. "I am truly and deeply sorry for what I have done. I don't expect your forgiveness. I don't," Rothstein said. "I am ashamed and embarrassed." Rothstein looked like he'd lost a good 30 pounds. His hair was grayer still and he wore a goattee. He actually looked tanned and healthy in a long-sleeve white button-up shirt, dark pants, white socks, black sneakers and the chains shackling him. His wife, Kim, sat in the second row behind him, and wept when Rothstein entered the courtroom. She sat next with her friend, Stacy Weissman at her left, and Scott's father Harvey at her right. Next to Harvey was Scott's sister, Ronni, and next to her was mother Gay. Also in the row was Kim's attorney, Scott Saidel, who sat next to Weissman. Cohn opened the proceedings by asking if any of Rothstein's victims were present in the courtroom who wanted to speak. In the back row, a black woman stood up and said she'd like to speak. It was Shirley Blades, the mother (I think) of Charles Blades, from the Blades football family. In what was a bit of a dramatic moment, she was led up to the podium and Cohn let her speak even though she was there to show Rothstein moral support. She simply turned to Rothstein, with tears streaming down her face, and said, "My brother, may God bless you. May God bless you." That prompted Gay, Ronni, and Kim all to start crying. Blades was followed by Steven Bitton, a Plantation man who was a client of Rothstein's. He said that he was offered a settlement in a lawsuit with the City of Plantation that Rothstein simply never told him about (outside the courtroom he said the offer was for $650,000 and that the city was now claiming was no longer on the table and that the statute of limitations had passed). "I went to see him every month for four years," said Bitton. "... You trust your attorney. You put your faith in him. ... It's not just the investors [who were hurt]." 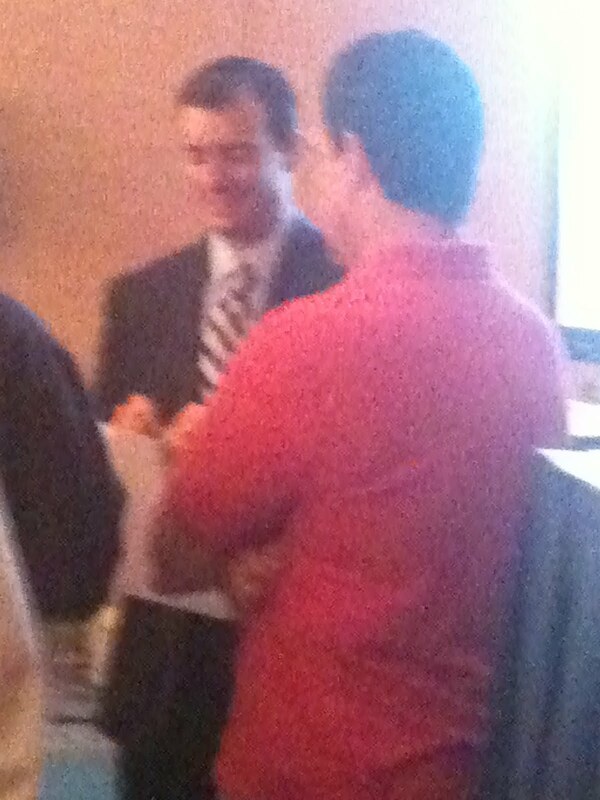 Then Nurik took the stage and spoke for over an hour on behalf of Rothstein. He started by asking Cohn to focus on "the rule of law, not the rule of mob, not the influence of the media, not the frenzy." He asked Cohn to sentence Rothstein for "who he is, not for how he's been demonized." He said Rothstein, who turns 48 tomorrow, had lived 43 years as a "caring, loving person" before he turned to a like of crime. Nurik also said that nobody would come to speak on his behalf -- expect Blades, whom he said was a surprise even to him -- for "fear of vilification ... and demonization" by the media and community. Cohn asked Nurik why he thought Rothstein "engendered so much public attention." "Mr. Rothstein lived larger than life," Nurik answered. "Mr. Rothstein was very brash, very vocal ... his face was plastered on every society page ... he was everywhere, doing everything." Nurik continued that there was a lot "schadenfreude" in this case -- joy in the demise of another -- and that law firms and lawyers in town were "quite frankly jealous ... a lot of lawyers wondered how [RRA] could grows so fast." "Isn't his lifestyle part of the manner in which the crimes were committed?" asked Cohn. Nurik said it was "to some degree," specifically in terms of the political contributions and "certain things in town" (I assume he was talking about charity events) that he did to gain "access to certain people." Then, finally, Cohn spoke. And man did he speak. He waxed poetic about Rothstein's case, saying it was "all about image, wealth, power, and influence" and that Rothstein rivaled "Madison Avenue" in the way he marketed himself. "[Rothstein's] political connections stretch from the sheriff's office on one end of Broward Boulevard all the way to the Fort Lauderdale Police Department on the other end of Broward Boulevard to the governor's mansion in Tallahassee ... and down Pennsylvania Avenue to the White House," Cohn said. Cohn mentioned the society pages, the political contributions "funneled through Rothstein's attorneys and their wives," his attending sporting events "with BSO brass," all designed to create an "appearance of legitimacy but we now know was all a facade, a fraud. "This was a This Ponzi scheme was not the result of a poor buisness decision. Quite the contrary, it was fraud at its inception ... causing 400 investors to love $400 million ... many people have been swept up in the tsunami that followed." Cohn not suprisingly said that he believed Nurik's comparison to the Dreier case was "unpersuasive" saying that there could be "no conduct more reviled" thatn Rothstein's forging of court orders. "The court must take a step back and ask what makes the Rothstein case different," Cohn said. "Why has this case created such a media frenzy? ... I think the primary reason is that Mr. Rothstein infiltrated so many spheres of our daily life ... politics, sports, charities, the society pages, the legal profession, billboards. Mr. Rothstein was seemingly omnipotent. He was everywhere. He was not only everywhere, but everywhere with excess." Just before he handed down the 50-year sentence (followed by three years of supervised release), Cohn said he felt that "public perception" was important. While his mother wept, Rothstein didn't give a visible reaction. When Cohn was finished, he was led out of the courtroom through a side door. He didn't look back. How much time will Rothstein get? We asked that question in our poll here. Most readers are saying that he will get between 40 and 50 years. Poll: How much time should he get? Convicted Ponzi schemer Scott Rothstein will be sentenced Wednesday, June 9, in federal court. His lawyer has made a case for Rothstein to serve no more than 30 years. The prosecution has asked that the former high-flying Fort Lauderdale lawyer get 40 years in prison. What do you think? How much time should Scott Rothstein serve? My view of this is that it doesn't much matter because the big sentencing date will be the day Judge Cohn hears the Rule 35 motion, the motion to reduce Scott Rothstein's sentence. True, whatever Rothstein gets tomorrow will be the starting point for the reduction, but at the end of the day, the amount of cooperation credit will drive this sentence. Judge Cohn knows that he will have the discretion to sentence Rothstein to an appropriate sentence after the cooperation motion comes, so I expect a pretty high sentence tomorrow. That said, 30 years is a lot of time, and as I've said before, I'm surprised that Nurik didn't ask for less. 2. Nice story on Willy Ferrer today by John Pacenti. 3. The Supremes decided Krupski today. Our prior coverage here. This is the relation-back case that Robert Glazier argued. Unfortunately for Mr. Glazier, he was on the wrong side of this one. ...and I'm a bit surprised. I thought he'd ask for less. The PSI calls for life (a level 52), but the statutory maximum is 100 years. Rothstein will be 48 the day after his sentencing this week. Rothstein himself wrote a 12-page letter to Judge Cohn, asking for leniency, "[b]ut I do not feel sorry for myself nor do I want anyone's sympathy. I deserve and expect the punishment I will receive. What I am deeply and sincerely sorry for is the horrific pain and harm I have inflicted on so many people." There were also some letters filed on his behalf, one by his parents, but missing was one from his wife Kim Rothstein. What will Judge Cohn sentence Scott Rothstein to this week? Professor Rick is finished grading his exams, and is back to blogging. His latest -- on the most recent Supreme Court Miranda case -- is hilarious. Go check it out. 1. Former Broward School Board member Beverly Gallagher gets 37 months in prison. That was the agreed-to sentence. Here's the Sun-Sentinel article. A Broward County bodyguard pleaded guilty to conspiring to shred financial records at the behest of Scott Rothstein as the Fort Lauderdale lawyer's $1.2 billion Ponzi scheme was collapsing last fall. Enrique Ros, who came to know Rothstein through security work at the former Versace mansion in South Beach, is scheduled to be sentenced on Aug. 27 on an obstruction of justice charge in Fort Lauderdale federal court. Ros, 33, of Pembroke Pines, was indicted in March along with business partner Daniel Dromerhauser and reputed Italian Mafia figure Roberto Settineri following an FBI sting operation starring Rothstein. The now-convicted lawyer, facing the heat of a federal investigation into his investment racket, played the lead role as the FBI targeted Settineri and the two businessmen in November. Criminal suspects seeking to protect their right to remain silent must speak up to invoke it, the Supreme Court ruled on Tuesday, refining the court’s landmark 1966 ruling in Miranda v. Arizona. Justice Anthony M. Kennedy, writing for the majority in a 5-to-4 decision that split along familiar ideological lines, did not disturb Miranda’s requirement that suspects be told they have the right to remain silent. But he said courts need not suppress statements made by defendants who received such warnings, did not expressly waive their rights and spoke only after remaining silent through hours of interrogation. Monday’s decision followed two in February that also narrowed and clarified the scope of the Miranda decision. One allowed police officers to vary the wording of the warning; the other allowed a second round of questioning of suspects who had invoked their rights so long as two weeks had passed since their release from custody. While the Supremes are chipping away at Miranda, I see that the 11th reversed a conviction yesterday on a suppression issue. 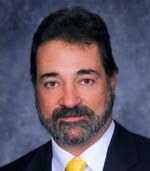 Richard Klugh won the case, United States v. Lance Lall.